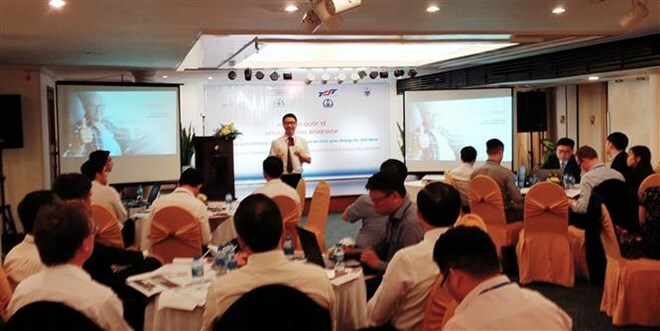 HCM City (VNA) – A so-called Network of Excellence (NoE) on research to increase traffic safety in Vietnam with the participation of international universities and organisations (including Belgium’s Hasselt University), was launched at a workshop held in Ho Chi Minh City on April 2. The project, which also gathers Vietnamese universities, state management agencies, and relevant business organisations, aims to build traffic safety policies and action programmes at the national and local levels for Vietnam based on the experience of Belgium in this field. Vietnam has set the target of reducing 5-10 percent of traffic accidents and casualties each year under the country’s traffic safety strategy through 2021, with a vision to 2030, permanent vice president of the National Traffic Safety Committee Khuat Viet Hung said at the workshop. Hung raised the fact that traffic accidents killed more than 8,000 people nationwide in 2018 and cause annual economic losses of 5-12 billion USD. The total damage during the 2015-2030 period is estimated at about 130 billion USD. In the framework of NoE, Vietnamese and Belgium scientists will coordinate to find the key reasons behind traffic accidents in the country, as well as sharing domestic and international experience to increase traffic safety in Vietnam, he said. Cooperation between the State, scientists, businesses, and organisations is important to ensuring traffic safety. However, the most important step lies in the awareness of traffic participants, he stressed, suggesting stricter punishment on violators.